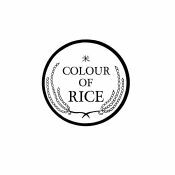 Colour Of Rice is a guitar walking hand in hand with emotions, stories and a voice. After two records and over a 100 shows, a NEW ALBUM is on its way! Together, we can make this dream reality! Ce sera pour printemps 2018!!! Ou en est la réalisation des contreparties? We like your project - this is why we’ve added it to our «We Fancy» category! During the next couple of days, it will appear on the front page and also in the «Recommended» section. It’s only fair to be a bit proud of yourselves and tell everyone about it! Send off a news item, write a post or make a tweet! The intro video song has a lot of background noise (glasses, people, ...) would be better to get "the voice" videos? This project ended successfully on 24/7/2017 22:00! Get a handwritten postcard from the «Fly»-series straight to your letter box, wherever you live! Receive a download-link per email to the NEW ALBUM before its release date! Receive a download-link per email for the new album + for the previous album «Fly»! Get the signed NEW ALBUM and a handwritten postcard from the «Fly»-series straight to your letter box, wherever you live! Get the signed NEW ALBUM, a handwritten postcard from the «Fly»-series AND this 'Sweetest Boy' - Mug, wherever you live! Get the signed NEW ALBUM, a handwritten postcard AND the previous album «Fly», wherever you live! Get the signed NEW ALBUM, a handwritten postcard from the «Fly»-series AND a T-shirt with our Logo in M, wherever you live! Get the signed NEW ALBUM, a handwritten postcard from the «Fly»-series AND a T-shirt with 'What You Looking For' in S, wherever you live! Get the signed NEW ALBUM, a handwritten postcard, the previous album «Fly» AND the first EP «Fall In Love», wherever you live! Get the signed NEW ALBUM, a handwritten postcard, the previous album «Fly» and a cute Tote Bag with our logo, wherever you live! Receive 2 invitations to the Vernissage and the signed NEW ALBUM! We might be having one in the Schwitzerdütsch region AND the Romandie to hop over the Röstigraben, stay tuned! Curious? Me too! But surprise is surprise, get it straight to your letter box, wherever you live!